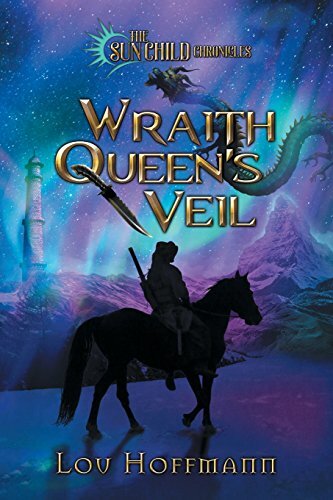 Wraith Queen's Veil is the second book in the Sun Child Chronicles. It continues Lucky's adventures in Ethra. Lucky is back in Ethra after defeating the Witch-Mortaine Isa with the help of Han and Thurlock. Luccan, Lucky's true name, is the Suth Chiell, which basically means the protector of the land. With his return, he has a lot of responsibilities now, including blessing kids, making speeches, etc. With Thurlock leaving for a journey, and Han leaving for a long border patrol, Luccan is now left to his own devices. Luccan wants to go on a “little trip” with his friends Zhevi and L'Aria. He finally talks Zhevi into it but doesn't get a chance to talk to L'Aria. After a day on his trip, he starts heading back with his friend Zhevi. On the way back, the duo sees L'Aria. She is out of sight for just a short period of time, but during that time, they hear a cry of fear. When they arrive to where she was, they find blood and a trail with footprints! L'Aria has been kidnapped! Luccan and Zhevi immediately go after the kidnappers to find her. Will Luccan and Zhevi be able to find L'Aria? Will Han be able to help them? Find out in this amazing book! Lou Hoffmann made yet another awesome book filled with fantasy, adventure, action, and thrills around every corner! This book was a great addition to The Sun Child Chronicles, adding more detail to the wonderful world of Ethra! It was chock-full of magic and danger; this is the best book of the series yet! The author perfectly blended old and new characters in this fantasy series. I think the best parts of the book were when Lucky was being heroic. I can't wait to read book three! This book was not a stand-alone; I would advise reading book one before this one. I would recommend this book for ages 12 and up. If you like fantasy and fiction, you would love this book!